Why Are Persian Rugs So Expensive? 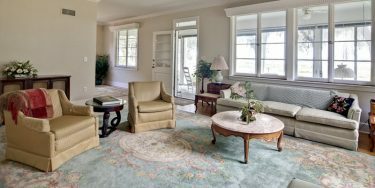 Home » Blog » Oriental Rugs » Why Are Persian Rugs So Expensive? In the world of carpeting, Persian rugs stand above all the rest. These are the luxury sports cars of the rug industry, and they typically cost in the thousands of dollars. There are many reasons why this type of rug is so expensive. Smart Choice Rug Repair & Restoration will help you cover understand the basics. 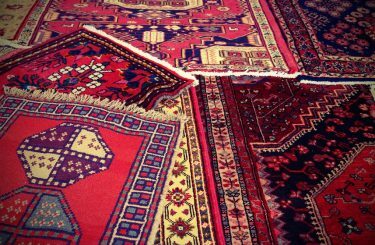 Persian rugs have been in existence for over 2,500 years. During that time, these rugs have become a type of art that reflects the Persian culture and history. Authentic Persian rugs are hand-made, so each one is a masterpiece created by an artist who uses traditional motifs and scenes to express their own culture. When buying a Persian rug, you are buying the equivalent of a beautiful painting or a sculpture. Persian rugs are made of thousands of tiny knots, all done by hand. The images and designs you see on the rugs are created solely through the placement of knots in colored threads, in specific patterns. Most Persian designs contain curved designs, and curved-design weaving is considered to be much more difficult to achieve well than simple geometric patterns. The knot work is considered a craft that few can master. Getting knots to be dense and lush, while still maintaining the pattern, is a difficult goal to accomplish. The more knots the weaver can get into each square inch, the clearer and more beautiful the image will be, so buying a rug from a master weaver, who can charge more, means getting a more beautiful rug. Another reason that Persian rugs can be so expensive is the quality of the materials used. 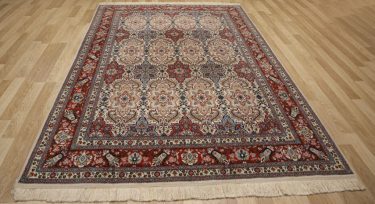 Persian rugs are typically made from natural plant or animal fibers, such as silk, wool, cotton, jute, and sisal. These fibers last much longer than synthetic fibers, stay clean easier, don’t tend to fade as quickly, and are typically better for the air quality in the room. In fact, man-made materials like nylon, acrylic, and viscose, have been shown to increase issues with allergies. Because natural fibers can’t be controlled the way artificial fibers can be, this also means that each and every Persian rug will be a unique creation. No two rugs can look exactly alike because the natural fiber will always have discrepancies in the coloring. There are a few other things that can make one Persian rug more expensive than another. For example, if a Persian rug is much older, but in great condition, this is treated more like a rare piece of preserved art, and can be very pricey. The country the rug comes from is another important factor in determining its worth. Turkish rugs have more value than a Persian rug made in India, for example. 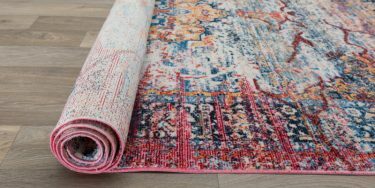 Finding the perfect Persian rug is like hunting for a signature masterpiece, so be sure to take your time as you navigate the market for these dazzling home décor items.